Last batch of Project CARS videos before we can try our SLI of GTX 970s to capture the game. Today, we're taking you around the world, France, Australia, Dubai and the US, for some relaxed driving in the sun. The two Point A to B tracks still have a few buggy shadows but we're not worried considering the developers have a few more weeks of polish ahead of them. 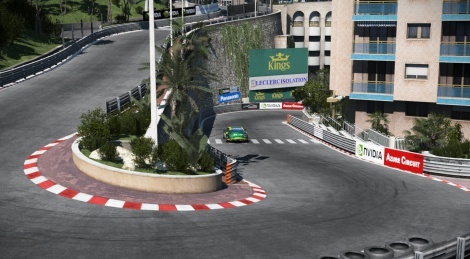 For those who remember what these two tracks looked like back in 2012, they have come a long way. The most important thing however is that we've really been enjoying our time with the game in the past few weeks, with improved driving sensations overall and better performance. The extra wait was not for nothing it seems. Note: We used the same settings than in our previous videos. Looks really great in the screens of those vids. I like the more clean style for this game. Really hopeful it will have a good solid feel to the gameplay. Besides forza horizons 2 this gem has been hurting badly for good racing games. The game is so mixed bag. Gfx look average in these videos. WTF ? Yeah, I think the game will be a mixed bag overall -- too bad. The real world circuits look good but the country roads (California highway and Azure Coast) are terrible. Almost as bad as Gran Turismo 6. There is also a shadow bug when racing in broad daylight that makes it much worse.